In Navarro County, the County Clerk handles vital records for births and deaths (from 1903) and for marriages (from 1846). Divorce is handled by the District Clerk. The Navarro County Courthouse is in Corsicana. Navarro County asks that those who request public information use their request form or at least adhere to its guidelines. When Caucasian settlers first came to this area of Texas around 1833, the predominant Indian tribes were the Iones, Kickapoos, and Comanches. 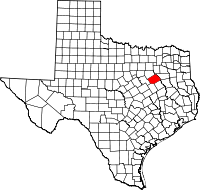 Navarro County was formed out of Robertson County in 1846 and named after a Texas patriot, Jos Antonio Navarro.